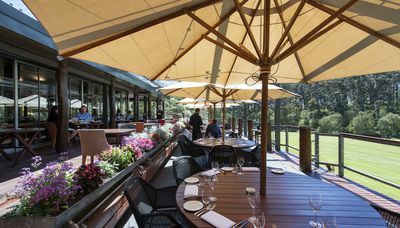 Leeuwin Estate has recently restored, rejuvenated and refurbished the winery’s alfresco spaces and Art Gallery. 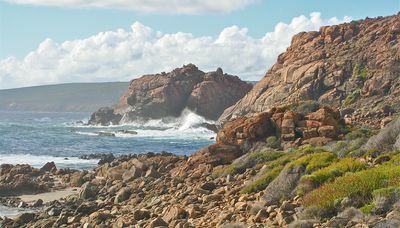 Leeuwin first developed an association with the arts fraternity when launching the famous "Art Series" wine labels on the 1980 Chardonnay featuring a painting of ‘Caves Rd’ by Robert Juniper. The collection now comprises over 150 paintings and artworks from from Australia's leading contemporary artists including John Olsen, Arthur Boyd, Sir Sidney Nolan, Lloyd Rees, Albert Tucker, Fred Williams, Robert Juniper, Clifton Pugh and Imants Tillers. The only work not part of the Estate's own collection is Sir Arthur Streeton's Golden Summer, which was kindly offered by its then owner for use on a special Museum Release of the 1987 Art Series Cabernet Sauvignon before moving to its new home at the National Gallery. Many of the paintings and sculptures were specifically commissioned. Others were discovered in exhibitions around Australia and the artists approached for copyright permission to be reproduced as part of the label series. 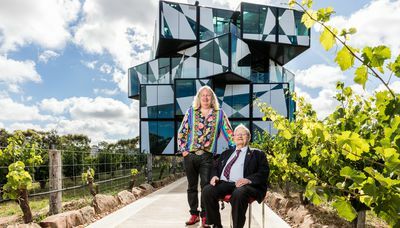 John Olsen was approached to paint the first artwork to be used on the Art Series Riesling. He responded with the creation of four works entitled "Frogs in Riesling". These paintings were so irresistible that the decision was made to purchase all four and continue these labels on all future Riesling vintages. Sir Sidney Nolan, when approached at the beginning of the series, advised he was not a graphic artist and did not paint for wine labels. He was also a red wine buff and was sent two unlabelled bottles of the 1982 Cabernet Sauvignon - one of Leeuwin’s best vintages. He responded that for this wine he would happily provide a painting. This resulted in his Dolphin Rock appearing on the label. With the high calibre of the artists consenting to appear on the labels, it is no longer a challenge convincing leading artists to be part of this collection. Some works have been lent from time to time but most are on roational display in the Leeuwin Estate Art Gallery.